The Porajmos (also Porrajmos), literally devouring or destruction in certain dialects of the Romani language, was the German Nazis and their allies’ attempt to exterminate the Romani people of Europe during World War II. Under the Hitler regime, the Roma and the Jews were defined as “enemies of the State based on race” and were similarly politically targeted and persecuted. The mass deportations and genocide directed against Europe’s Roma during World War II by the Nazi and their allies has been largely forgotten. Estimates of the death toll of Romanies in World War II range from 220,000 to 1,500,000. Most of the Roma have never fully recovered from the terrible treatment to which they were subjected and have received little or no compensation for what they and their families endured. Working together, Yahad – In Unum and Dignity Roma conduct research into the mass deportations and killings of Roma by the Nazis and their allies. This includes conducting research to document the history of the Roma deportation from Romania to Transnistria by the Antonescu regime through videotaped interviews with survivors. 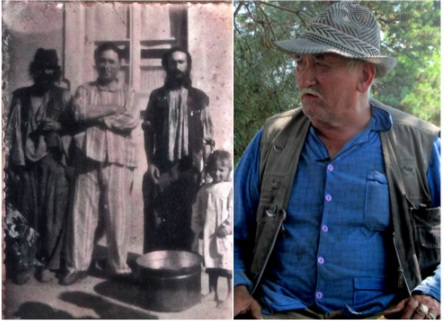 Investigators also accompany survivors back to the villages in Transnistria to which they were deported, conducting interviews with them and with their Ukrainian neighbors who lived nearby at the time of the deportation; this methodology often yields mutually corroborating evidence and unique, new insights. Archival materials are being collected to combine existing historical research with the results from the investigations.